For us, who come from both a parliamentary system (Ian-born and raised in The U.K.) and an American system (Gayle-born and raised in the USA) this is an intriguing analysis of the new Canadian government. It remains to be seen how history will play out. We are optimistic. 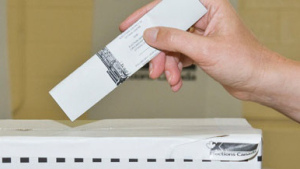 The federal election on October 19 dramatically changed the political map of Canada. Click here to see two overlapping maps of Canada, one showing the seats held by each party following the 2011 election and the other showing the results for 2015. In moving the cursor over the maps one sees the shift from one election to the other. The Liberal Party under its new (and untested) leader Justin Trudeau, swept the Atlantic provinces, made major gains in Québec and Ontario, established inroads in the main urban centers across the Canadian prairies, and finished strong in British Columbia. As a result, the Conservative Party has been confined to its traditional strongholds in Southern Ontario and the Canadian Prairies. It no longer represents all regions of Canada. And that is significant. Here’s why.